The independent broker-dealer also says it has set up a Regulatory Counseling group firmwide. 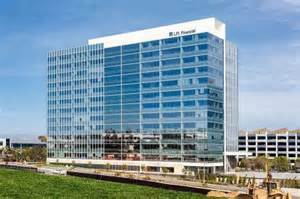 LPL Financial's headquarters in San Diego. LPL Financial (LPLA) named Emily Gordy executive vice president and deputy general counsel on Thursday. She will begin work at the independent broker-dealer effective Monday and will oversee regulatory inquiries and investigations group within the legal department, reporting to General Counsel David Bergers. Gordy joins LPL from Shulman, Rogers, Gandel, Pordy & Ecker. Prior to this role, she spent 27 years as a regulator for the Financial Industry Regulatory Authority. In addition, she worked for the National Association of Securities Dealers and the SEC. The IBD also says it set up a Regulatory Counseling group that will provide all business units with advice and counsel about ”regulatory, compliance and risk matters.” The group includes an internal investigations unit and is led by James S. Shorris, executive vice president, deputy general counsel and a former FINRA enforcement chief who joined LPL in 2011. Compliance staff at the IBD have been busy as of late. Earlier this year, FINRA levied a $11.7 million charge against the IBD for supervisory failures in the sale of complex products and ordered that $6.3 million be paid in restitution for failing to waive mutual fund upfront charges to certain retirement plans and charities. In 2014, LPL spent $36 million on regulatory charges. Recently, it has added nearly 400 employees to its compliance, legal and control staff. As a result, the IBD “tracked several areas of exposure generally involving the thoroughness or completeness of our processes and systems of supervision and surveillance of several complex products,” according to Chairman & CEO Mark Casady, who discussed compliance matters with equity analysts after the firm released its second-quarter earnings in early-August. As for the expected fiduciary standard being hammered out by the Department of Labor, LPL should have the “scale and flexibility” to adjust. Its assessment is that the current proposal’s restriction on alternative investment sales, for instance, would have an impact “of 2% or less” on its pre-tax profit, Casady explains. The company adds that it expects its 2015 regulatory to be lower than in 2014 and that its 2016 expenses in this area should “be meaningfully lower than the elevated levels seen in 2014 and 2015,” according to interim CFO Tom Lux, who also spoke with analysts last month. About one month ago, LPL hired Anthony Perkins, who had been Wells Fargo Advisors’ chief technology officer; Perkins is now the IBD’s head of technology product development. Perkins will report to Chief Information Officer Victor Fetter. In June, LPL nabbed former E-Trade Chief Financial Officer Matthew Audette to be its new CFO, starting Sept. 28. Audette is set to fill the role previously held by current LPL President Dan Arnold; acting CFO Tom Lux is in charge of the IBD’s finances until Audette comes on board. Through a long-distance program that now includes 200 advisors, Rick DiStefano is working with Veronika Thruston to increase business and eliminate headaches. Read the vendor contract carefully to avoid unpleasant surprises.